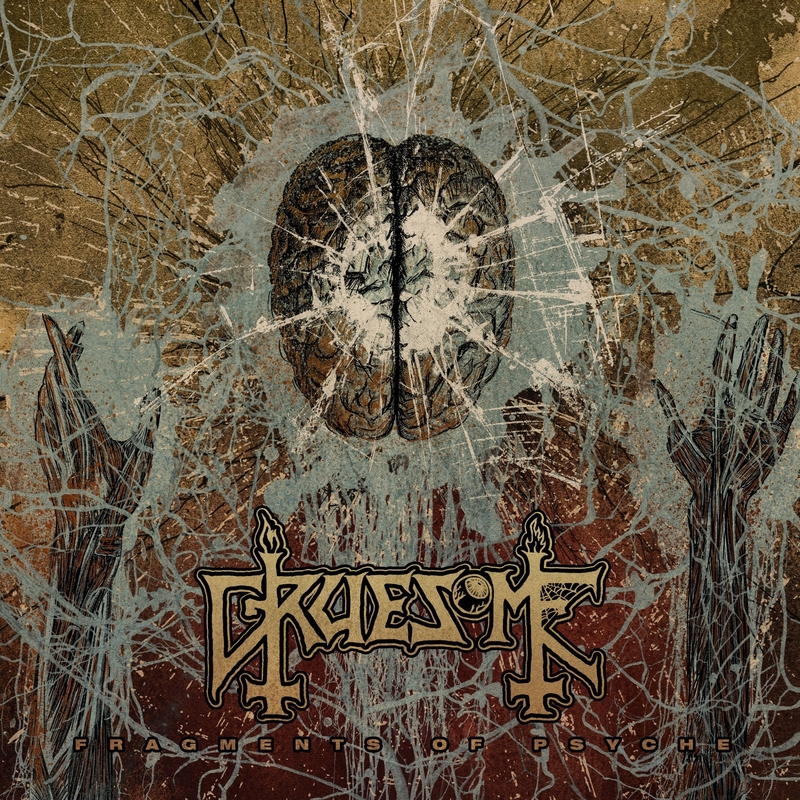 Gruesome have rapidly made a name fr themselves as one of the premier old school death metal bands in the scene today. There Death worship at first themed rooted only in Leprosy and other early era death tracks. but this latest offering sees them taking the influence of Human on a 7 inch that suggests that there could be a whole lot more to this Gruesome business than we originally thought. Fragments Of Psyche shows us that Gruesomes understanding of Death is incredibly deep and strangely delectable. As a seven inch the record is simply made up of a new single, entitled, of course, Fragments of Psyche and a truly fascinating B side, A cover of Choke On It done in the style of the Human record. It's the sort of thing that I think that most people wouldn't quite get but for a Death nerd like me this is kind of a huge deal. I really do love though how on the digital edition of this record we get to hear a whole mess of demos, reminiscent of countless other Death reissues and rereleases that Relapse has showered us with in recent years. If the band members were any less legimate in their love for Death and their place in the scene this would be hokey but instead it seems like a passion project. The fact that we get to hear a passion project like this, a band that is so clearly a teenage fantasy, coming from current and former members of Exhumed, Possessed and Malevolent Creation is actually really exciting to me and gives you a lot to sink your teeth into. It's dorky to be sure but it's also something that makes for a surprisingly fun listen. Most death metal these days is dedicated to pushing the envelope or is merely a dull rehash of what came before. Gruesome have been able to invoke the magic of the gods and create something truly special.